Walter Benjamin begins The Storyteller: Reflections on the Works of Nikolai Leskóv with a pang of nostalgia for the extinct practice of storytelling: “the storyteller in his living immediacy is by no means a present force. He has already become something remote from us and that is getting even more distant” (83). His pained tone evokes a personal as well as historical sense of gloom. The modern world brought a shift in the daily experiences of people that led to an alienation along Marx’s vein rendering humans incapable of exchanging experiences. As an example he recalls World War I soldiers who returned from the battlefield incapable of conveying the horrors they witnessed. The world had to wait ten years for the soldiers’ accounts, but “the flood of war books was anything but experience that goes from mouth to mouth” (84). Artificial concepts replaced natural experience, “for never has experience been contradicted more thoroughly than strategic experience by tactical warfare, economic experience by inflation, bodily experience by mechanical warfare, moral experience by those in power” (84). Natural accounts of battlefield events, one surmises, would have been conveyed in a direct and unaltered way; rather, the soldiers seemed to want to runaway from what they saw, or perhaps the world cared little for their stories or wished to tame their severity by only accepting the contrived “war book.” Even though Benjamin bemoans the fall in the value of experience, he concedes that such a shift allows for “the proper distance and the angle of vision” (83) to analyze the genre of storytelling. His reflections accomplish more than the act of reflecting seems to connote; rather, a rigorous genealogical study of literary genres emerges, by using as an example the outline of material events in history that brought the development and demise of storytelling. In a more general sense, Benjamin performs theoretical work that examines genre development; he focus on three forces that affect its change over time: the influence of social and economic forces, the role of personal and collective memory, and finally the relationship between the writer and the reader, or in the specific case of the storyteller, the teller and listener. In order to understand Benjamin’s essay it is best to start from the point where he analyzes the role of memory in literature. He asserts that “memory is the epic faculty par excellence,” and he adds that “the record kept by memory … constitutes the creative matrix of various epic forms … its oldest form, the epic, by virtue of being a common denominator includes story and novel” (97). The storyteller exists as the guardian of tradition through a twofold operation: he appeals to both personal and collective memory, orates the stories present in them, and thereby preserves their place in memory. At the same time, by telling the story in his words he leaves his own mark and thus contributes to the vitality of his tradition by giving it newness. Benjamin sees Scheherazade as the storyteller supreme; she creates “a chain of tradition which passes a happening on from generation to generation” (98). Scheherazade becomes a narrator through her wit and cunning because she unites formerly spread out stories and funnels them into the collective memory of her own tradition; she, therefore, contributes to forging an Arab identity. According to Benjamin, Mnemosyne influences the epic and all its subsequent genres; however, it manifests itself differently depending on the genre. For instance, Scheherazade acts as a storyteller and as an early novelist; she is inspired by the muse when she employs the “short-lived reminiscences of the storyteller” while she also acts like it by “perpetuating remembrance” like a novelist (98). In other words, she recalls many diffuse occurrences to act like a hero engaged in an epic battle to save the lives of women in her kingdom. Her role is dual, for she takes from memory, alters it, and returns her version to it. Through the storyteller memory leaves the past to be morphed in the present. Under the umbrella of memory Benjamin sees a relationship between epic forms and historiography: “written history [is] in the same relationship to the epic forms as white light is to the color of the spectrums” (95). He adds, “among all the forms of the epic there is not one whose incidence in the pure, colorless light of written history is more certain than the chronicle” (ibid). The chronicler is the “historyteller,” as distinct from the historian whose purpose is to explain history. The medieval chroniclers evaded the burden of explanation “by basing their historical tales on a divine plan of salvation” (96). The storyteller resembles the medieval chronicler but in secular form. Just as the chronicler gave a picture of the events of the world in accordance with a teleological and eschatological plan, the storyteller observes the world to create a portrayal of it. It seems appropriate that Prince D.S. Mirsky writes that Leskóv “is generally recognized by Russians as the most Russian of Russian writers and the one who had the deepest and widest knowledge of the Russian people as it actually is” (Mirsky 333). The storyteller belongs to the people and from them he draws his inspiration; his task it to observe and then to compose images. Benjamin writes, “an orientation toward practical interests is characteristic of many born storytellers,” and so he refers to Leskóv’s view that storytelling is more of a craft than an art: “writing is to me no liberal art, but a craft” (92). It makes sense, thus, that Benjamin traces the rise of storytelling by exploring the social and economic forces that determined it. He believed, the “trading seaman” and the “resident tiller of the soil” (84-5) made for the best storytellers, because the traveler had an adventurous and varied experience to relay while the resident tiller knew the local tales and traditions. Stories emerged, writes Benjamin, during the Middle Ages when the trade structure brought together resident master craftsmen and the traveling journeymen. He writes, “if peasants and seamen were past masters of storytelling, the artisan class was its university. In it was combined the lore of faraway places, such as a much-traveled man brings home, with the lore of the past, as it best the reveals itself to natives of place” (85). 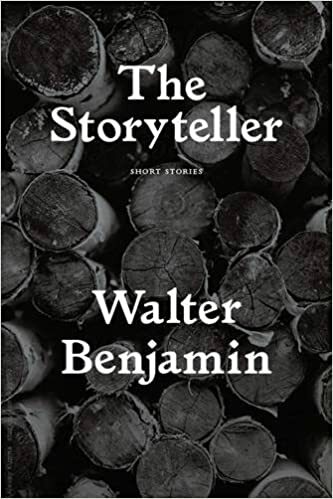 Benjamin writes, “the storytelling that thrived for a long time in the milieu of work—the rural, the maritime, and the urban—is itself an artisan form of communication” (91). One can infer, therefore, that during a time when experience was varied relative to the modern world, folklore originated in the most ordinary and practical ways when the artisan classes shared common experiences among itself—life took on the form of art. Eventually, those who write down the stories, such as Leskóv, capture the speech and the rhythm from the oral form. The close association with such a trade eventually spelled the demise of storytelling, for stories died out as the world changed from an artisan and guild structure to an industrial economic model. Benjamin attributes the end of storytelling to a shift in the value of experience that occurred during the demographic shifts at the advent of modernity: “a generation that had gone to school on a horse-drawn streetcar now stood under the open sky in a countryside in which nothing remained the unchanged but the clouds, and beneath these clouds, in a filed of force of destructive torrents and explosions, was the tiny, fragile human body” (84). However, he does not dedicate much room to justify his claims about these social shifts; Benjamin’s musk take them as given to understand how social arrangements affect literary genres. Although the foregrounding of a particular genre over another may seem to happen suddenly, Benjamin brings to our attention that it is not so; rather, “the transformation of epic forms [occur] in rhythms comparable to those of the change that has come over the earth’s surface in the course of thousands of centuries” (88). Don Quixote, generally considered to be the first novel, represents an example of this transition, for while it is indeed a novel which recounts the adventures of a hero, it is also interpolated with stories that are essential to its structure and plot; Cervantes forges a new genre while depending on an old one for coherence and structure in his work (Shklovsky 72-100). Nevertheless, the novel eventually superseded the story in modern times marking “the earliest symptom of a process whose end [was] the decline of storytelling” (87). Even though elements of the novel could be found back in antiquity, and for much of history it existed alongside other genres, it sprung to privileged status when it captured the attention of a rising middle class during the industrial revolution. It became slated for better commercial success because it depended on the book, a format that rose to prominence after the invention of the printing press. Narration broke away from oral tradition with the emergence of the novel concomitant with industrialism; for the first time, people seemed to want to read the telling of life by an individual imagination, rather than come together to listen to stories held in collective memory and tradition. One can infer from Benjamin’s work that the specialized functional roles that arose with capitalism led to the rise of the author, an individual who could produce a very specific product to cater to the needs of a middle class that wished to distinguish itself from the aristocracy. The double role of storyteller-listener collapsed as the best narrators assumed the roles of authors while everyone else turned into the reading public. Benjamin reflects on the formal qualities of the story and how such qualities became less appreciated in modernity. Its defining feature is that the teller gives counsel to his listeners, and it creates counsel from everyday happenings in order to bring wisdom to life: “counsel woven into the fabric of real life is wisdom” (86-7). At the same time, the listener who receives counsel must later be able to deliver it when he assumes the role of the teller. Benjamin cites the fairytale as the supreme example of delivering counsel by looking at the role it plays in shaping the moral development of children. However, the didactic qualities present in stories lead to the end of the genre, “because the epic side of truth, wisdom, is dying out” (87). “Having counsel” begins to have an “old-fashioned ring,” because experience has become incommunicable (86). Benjamin quickly points out that such a transition does not represent a modern symptom of decay; “it is, rather, only a concomitant symptom of the secular productive forces of history, a concomitant that has quite gradually removed narrative from the realm of living speech and at the same time is making it possible to see new beauty in what is vanishing” (87). When the author of the novel who specializes in the art of narration isolates himself he creates an entirely different product from the story. Apart from life he is thus unable to give counsel; his objective becomes to represent human life in all its “perplexities.” Much like the author removes himself from society, the novel’s reader also isolates himself; the reader, thus, must commit himself to absorb the material, but never will he need to relate word for word the novel to another—he will never contribute to the authorship of the story. Another major difference between the story and the novel returns us to the role of memory in each genre. Benjamin identifies the “perpetuating remembrance of the novelist” compared with “short-lived reminiscences of the storyteller” (98). The novel exalts its subject matter, whether it is a life, an act, or an event, by placing it in memory; the novel forces the reader to remember and reflect on life, it elevates life, and therefore tells of life. The storyteller’s objective, on the other hand, is to recount a shared experience or popular tale that has some didactic quality; the story resides in memory and is accessed when it is told. The novel tells of the “profound perplexity of the living” (87) it incorporates one element not found in stories: time. Benjamin refers to Georg Lukács who finds that the novel is “the only art form which includes time among its constitutive principles” (99). The novel incorporates time because it is not bound to a region, a history, an identity like the story. It takes up as its central issue “the meaning of life,” which, however, does not mean that it ever offers a satisfying explanation to this quandary. Instead, “the quest for it is no more than the initial expression of perplexity” (ibid). Benjamin quotes from Lukács Theory of the Novel: “only in the novel are meaning and life, and thus the essential and the temporal, separated; one can almost say that the whole inner action of a novel is nothing else but a struggle against the power of time… And from this … arise the genuinely epic experiences of time: hope and memory” (ibid). The novel presents life with its ontological uncertainties. Time delimits the novel, for its boundaries are set with the beginning and end of the life of its hero. The figurative death at the end of the novel becomes the moment when meaning can most clearly disclose itself to the reader. Benjamin states, “the novel is significant … because this stranger’s fate by virtue of the flame which consumes it yields us the warmth which we never draw from our own fate. What draws the reader to the novel is the hope of warming his shivering life with a death he reads about” (101). And so the reader assumes a post death condition that allows him to remember the life he lived in the novel; through the act of remembering he can reflect on the life he lived through its character, a privilege which he cannot enjoy in actual life. The listener of a story, on the other hand, derives counsel, learns a moral, and he redelivers the same counsel and moral to future listeners—his function is unselfish. The reader of the novel is greedy by comparison, for he immerses in self-absorption to fulfill an insatiable desire for meaning in his life. In the end, Benjamin observes obliquely that the story speaks directly to the listener, teaches him, whereas the novel engulfs him, allows the reader admission into another life. Benjamin identifies information as a new genre that will supplant the story and novel. He does not locate its origin in the epic form, but he asserts that information will inevitably influence it. News appeals to its audience by its “verifiability” and the ease with which it is understood. While the story borrowed from the miraculous and took centuries to be composed, news is real, plausible and it delivers its message instantly. Benjamin writes, “the value of information does not survive the moment in which it was new. It lives only in the moment; it has to surrender to it completely and explain itself without losing any time” (90). The rise of information creates a distance to analyze storytelling. To return to memory, while the information presented in the news evaporates the moment after publication, “there is nothing that commends a story to memory more effectively than that chaste compactness which precludes psychological analysis” (91). Its resistance to engage in psychological analysis insures that the story is retained and thus passed on: “the more natural the process by which the storyteller forgoes psychological shading, the greater becomes the story’s claim to a place in the memory of the listener, the more completely is it integrated into his own experience, the greater will be his inclination to repeat it” (91). In contrast, the interpretation of news occurs not with the reader but within the news story itself—all that matters is the gist of the news and the facts it transmits. Specialists assume the act of telling the news story while the public listens; the news continues when further information presents itself—newness is of the essence—while it dies without follow up stories. The “psychological shading” of a news story creates a gulf between the story and the reader; the knowledge conveyed keeps the reader at bay by creating a subject-object relation. The story, however, “does not aim to convey the pure essence of the thing, like information or a report. It sinks the thing into the life of the storyteller, in order to bring it out of him again” (91-2). Benjamin implies that the story is something organic, it is about life while it exists within life; it means to entertain while also to teach its listeners; it reflects the prevalent mores of a region even though it remains timeless through each storytellers contributions. Information’s purpose is singular: to deliver knowledge of the world to a mercantile class that sees it as crucial to the furtherance of its interests. Although Benjamin does not delve into an analysis of the political purpose of information, it can be said that the news serves the ideological interests of groups while seeming to be objective and impartial. Even though a historical distance seems crucial to Benjamin’s inquiry, the theoretical work he conducts can still be used to study genres that are emerging at the moment. The appearance of testimonial literature in Latin America is fruitful ground for such an analysis. A member of the lower class who witnessed and suffered social injustices usually delivers a testimony to a listener who then puts the account into written form. Globalism has given subaltern groups who formerly did not have a voice a chance to speak, because social and economic changes have led to a rearrangement of global power structures that have forced the Western World to confront the “other.” In a world that supposedly does not value experience according to Benjamin, there exists a group of people who wish to have their experiences read, who are subverting postmodernism with their insistence on referentiality. The writer of a testimonial is not a storyteller, though; he is witness who gains his authority from his experience, which is an experience he shares in common with the members of his socio-economic class. Thus, the author of testimonial is not an individual; rather, he is his group. The testimonial breaks down Western notions of individuality, because the voice of the speaker is interchangeable, it is allegorical, the voice of a whole. For instance, the boom of prison testimonials in Brazil in recent years brought attention to those who live on the margins of society, for whom prison is a metonym of the miserable conditions of the lower class. One can infer that Benjamin would be interested in the shift of the locus of literature from the bourgeois to the lower classes. He would particularly be interested in the reinterpretation of difference that such a change implies, especially its effect on the formal aspects of literature. Furthermore, one can assume that he would also wish to consider testimonial literature’s close relation to autobiography, specifically how each uses memory. In the classical autobiography the author considers his individual life in retrospect, whereas in a testimony the witness draws from his memory to forge the identity of his social group. The witness’s life events only have relevance if they help explain and illustrate how the lower class experiences injustice. The writer of an autobiography can utilize any part of his life, and he reflects and narrates on it to give it meaning. Much like in the novel, the end of an autobiography becomes an artificial death which gives its author the distance to analyze his life. The appeal to memory in testimonial writing resembles the appeal stories make to memory; the witness speaks after a traumatic event experienced by many to articulate a collective memory around a particular event to insure its remembrance. Additionally, there is the act of denouncing the injustice experienced, which makes the testimony a literary genre with an overt political purpose. It seeks to alter society by forcing society to confront its past transgressions. For example, a number of testimonials were written in Brazil after a prison massacre of 111 inmates in Carandiru in 1992. Ten years after the massacre the prison closed in a symbolic act of recognition. In the end, the testimony emerges from the autobiography, gains its structure from the autobiography, but uses the structure to wholly different end. At the end of the day, Benjamin’s theoretical work seeks to account for the foregrounding and backgrounding of genres driven by the “secular productive forces of history” (87). While he examines the formal qualities of each genre, he relates those qualities to the social and economic structures of a given time that make, for instance, memory operate in a different way in each genre. In fact, the ordering principle for literature according to Benjamin is memory. So he takes an interest in understanding how each genre formally grapples with this muse. In addition, his model suggests that all these genres were born with the advent of the epic form and are related to it; they evolved over centuries and became prevalent when certain conditions fomented their assent. None of these genres exist in a vacuum; rather, they influence each other in an economy of genres and shape the configuration of each genre. Within his model, the storyteller, the author, or the writer of a given work shape it according to the demands of a market. Finally, it almost goes without saying that to conduct work along Benjamin’s lines one would want to have a sound knowledge of genre development, as well as being versed in social and cultural history viewed through a materialistic perspective. In addition, one would want to know several theories on memory, whether collective or personal, and its relation to identity. Benjamin, Walter. “The Storyteller: Reflections on Nikolai Leskóv.” In Illuminations, edited by Hannah Arendt and translated by Harry Zohn. New York: Harcourt, Brace & World, 1968. Mirsky, D.S., Prince, A History of Russian Literature: From Its Beginnings to 1900. Edited by Francis J. Whitfield. Northwestern University Press: Evanston, Illinois, 1958. Shklovsky, Viktor. “The Making of Don Quixote.” In Theory of Prose. Translated by Benjamin Sher. Dalkey Archive Press: Normal IL, 1990.